Chelsea legend Claude Makelele has backed Maurizio Sarri to make history with the club again. 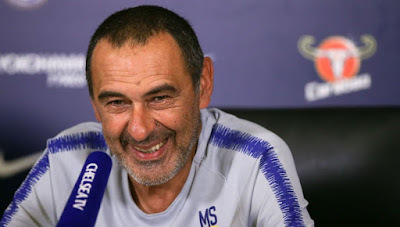 Sarri who joined Chelsea from Napoli has had a perfect start to the Premier League winning all the four games that has been played so far this season. Makelele who won two Premier League with Chelsea has now backed the Coach to create history with the club again and believe he has the players needed to help him achieve this history. Chelsea next game will be against Cardiff City on Saturday after the International break.